the people who are wired like I am..... and you KNOW who you are! We are the ones who circle misspelled words in the church bulletin when everyone else is singing the hymns. We are the ones who hear the word "diagram" and get goosebumps because it reminds us of the days of diagramming sentences in our university Advanced Grammar class. We are the ones who FORCE ourselves to use words like "u" and "ur" when we text, so we seem to fit in with the cool people a bit more. 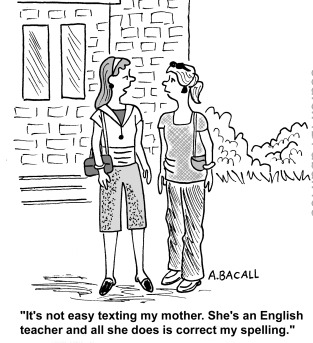 And sometimes in conversation we even end our sentences with a preposition--just so people think we are completely normal! So THREE CHEERS to English Teachers everywhere! 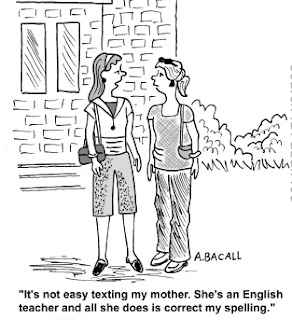 As an ex-English teacher, this sure does describe me a bit! 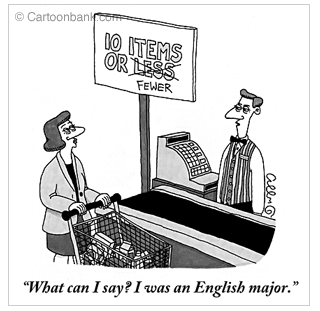 Those cartoons are hilarious, especially the last one as I always get riled when I see the 10 items or less sign! 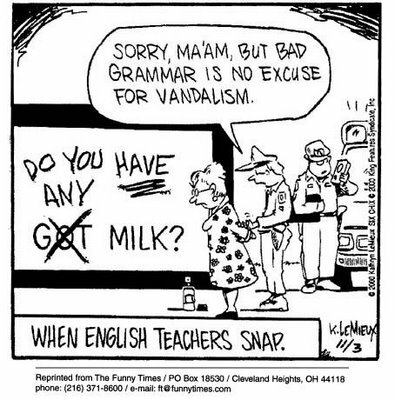 English teachers rock! I am not one, but strangely enough, I posess some of those characteristics you described above. Kelli, you rock! What a great post for the beginning of the school year. I love the cartoons!